I think Congress is going to need something more tangible than an excuse to risk pitchforks. Yeah... the thing about electing a President McPresidentface? Nobody's gonna miss him. They hardly hated Clinton. He's just a scumbag that obstructed justice in a heinous manner. Yeah! Anyone who's known for shameless sexual impropriety and lying is a scumbag, and shouldn't be our president! Last edited by Eversor; 01-23-2017 at 11:14 AM. There seemed to be a real threat at the convention if it would have gone down the way it should have (contested). I think you misunderestimate his popularity. And, he's surrounded himself with GOP establishment and RINO types. I guess that could end up like Caesar's assassination. We'll see. I'm no special pleader for Trump. How do you not "mis-" underestimate something? Is that a reference I've forgotten? Trump's not well-liked, he's a crisis of democracy. Most people voted for Trump because they thought the vote was rigged, not because he's the best candidate. The reason you'd have outrage if Trump won the primary but got booted is because it'd have proven him right. That doesn't necessarily extend to today; Trump won, the voters were heard. The voters just made a mistake of voting for someone they don't think should have won. Trump's approval rating is already worse than GWB's was at his low point. They could literally impeach him for any reason, nobody would give a ****. If he had been prevented from reaching 1237 he wouldn't have been the actual winner despite this notion that he would have been the winner because he had the most. Doesn't matter because Cruz dropped out and didn't try to force it in the end, probably because of the pitchfork think. Trump got the 1237 and won. Oh yeah, I'm agreeing with you. There definitely would have been pitchforks had the GOP "stolen" the primary. There is (was?) a real loss of faith in democracy among the public. The reason Trump spent the primary and general talking about how it was rigged against him wasn't to salvage his ego, it was playing on those anxieties. People voted for him because he was the candidate that would "never win", that they "weren't supposed to vote for", and if they stole the election the GOP would have been proving him right all along. Most people voted for Trump because they thought the vote was rigged, not because he's the best candidate. 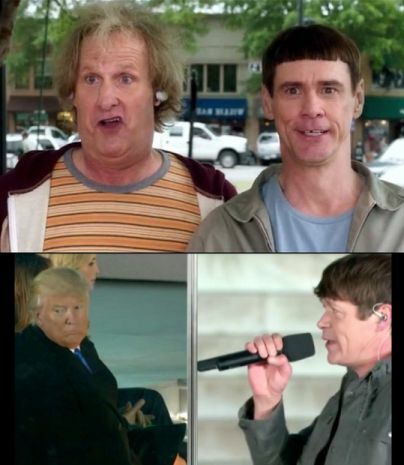 I think this was the reason the democrats lost. They kept trying to get everyone to focus on the idea that Clinton was somehow a better candidate and they mostly stopped talking about all the issues. And when they did talk about any issues she just came out with "zinger" after "zinger" instead of talking seriously about anything. And if she ever did talk seriously about anything it was only to defend herself against things that Trump said. Trump said over and over what he thinks he's going to do -- build a wall, cancel trade agreements, repeal obamacare, etc. The only thing we got out of Clinton was that she was going to finally break the glass ceiling or whatever. Which I don't think most people would mind, just not by her. Also, to be clear, is the system not rigged when one candidate gets debate questions prior to the debate and the other one doesn't? And let's be honest, the whole system is rigged when all you have to do is spend money and you can get elected. I'm not comfortable with anyone claiming the system isn't rigged. The only thing we got out of Clinton was that she was going to finally break the glass ceiling or whatever. Which I don't think most people would mind, just not by her. I'll always remember her motto being awful. "I'm with Her" sounds like a call for subordination. At least "Make America Great Again" sounds like some hope. It depends upon what the meaning of the word 'system' system. The [presidential] vote isn't rigged, at least beyond the shady AF two party thing (edit: clarified this point, the congressional vote is absolutely and most certainly rigged). Debates and promotion are private and not technically part of 'the' system, but even if you consider them to be, debate performance and PR spend don't translate into improved outcomes past a surprisingly low bar. I'd agree though that Clinton's non-platform really wasn't helping. Neither was the general attitude/assumption that her victory was a lock. I don't think that Trump, who isn't/wasn't well-liked, would've won had the Democrats not nominated a candidate that isn't/wasn't well-liked. Trump deserves credit for winning against one of the most unpopular Democratic nominees in history though. If Democrats, Independents, & some number of Republicans had actually thought that Trump could actually win, I think it's reasonable to assume that more of them would've voted for Clinton. I also don't think that "hold your nose & vote for me because I'm slightly less stinky than the other candidate" just wasn't a very strong message & that's precisely the one that many Americans received. I think that Trump is receiving far too much credit for winning the Turd Olympics. Last edited by Mentat; 01-23-2017 at 02:19 PM. 13767 Barring international non-governmental organizations that perform or promote abortions from receiving US government funding. omg is it Kim Jong Trump? I guess you'll know for sure when he starts wearing a tight belt and lets it hang over his pants. Last edited by Reverend Jones; 01-23-2017 at 03:38 PM. There's also that "national day of patriotism" thing that Spicer announced on Twitter. TBQH, it sounds to me like something was lost in translation when converting from "Asian-Despotese" to English. Did he forget to make the holiday about something? This thread did not need pics. It's my thread, I can do what I want with it. I'm highly skeptical of that report but I do think if that's an actual picture of Trump he has really done a good job at losing weight presumably without the surgery and suffering that Christie must have gone through. 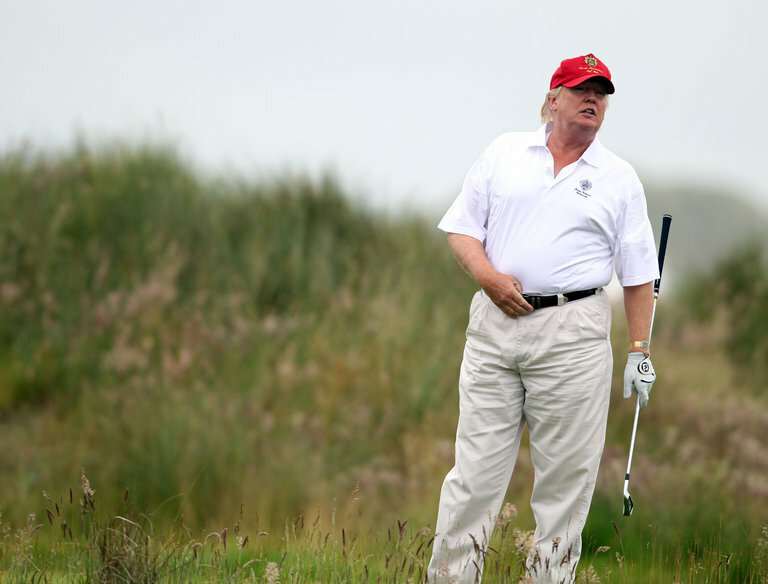 Of course, let's not set the bar too high for Trump's physique. After all, he's even slimmer than those Aryan Übermensch (NSFW) who were heiling him back in November. Can't there be one. damn. thing. where "the bar" for Donald Trump isn't set significantly lower for him than anyone else? It's not kind to talk down to the mentally handicapped. From each according to his ability, to each according to his (special) needs. Did you hear Kellyanne Conway tell the press that there are "alternative facts"? Maybe to go with the "alt reality" of the Alt Right, where the 4chan users supporting him aren't actually even more obese compared to their dear leader? Seriously, though, I don't know how old that picture was but he's seventy now and looks to be in far better shape. That's a good accomplishment for anyone. Besides, I don't think it was until GWB and Basset Hound Orphans that presidents were ever actually notable for being fit. I was thinking about that one too! The threat certainly was effective in terms of its impact on the Affordable Care Act, since Aetna’s withdrawal has become part of the Republican brief against the law. That it says so much more about Aetna executives’ honesty and integrity probably won’t get cited much by GOP functionaries trying to repeal the law. That's just kind of inane in my opinion. I don't get it. Is that supposed to be an alternate expansion of BHO? Google turns up nothing, so if you "always thought so", is it because you made it up? Edit: wait... Reddit confirms this is a Massassi thing?? Oy vey. Last edited by Reverend Jones; 01-23-2017 at 06:55 PM. Just Google the phrase in quotes--two results are on massassi.net, and another is a Reddit post talking about an "internet forum", exposing the dastardly practice. We're famous. I've had enough fun. For those that don't know or remember, but definitely not don't care, Basset Hound Orphans was a swear filter addition to Massassi because it was determined that the only possible motivation I had to use the president's, oops, I mean former president's initials was to point out that his middle name was Hussein. This did have some funny unintended consequences like "abhor" would be corrected to "abasset hound orpansr". Memories. Whelp, now he's signed an executive order to stop all federal hiring (except for the military, of course). Who is the guy in the bottom right of that picture? Maybe, but I would also put forth the theory that he's going to try to minimize the number of people hired under the auspices of bureaucrats leftover from the last administration, pre-purge. As someone whose line of work principally happens at universities and national labs, I am Not A Fan of this.